Our Quality Policy is that will strive to deliver the products and service that meets the customers requirement.We commit to constant improvement by training our people, upgrading equipment, eliminating non-essential practices, and creating an environment of total quality consciousness. This policy is carried out and implemented at all levels in the organization. This Quality Policy will apply to all phases of our operation, from Procurement of raw stock to delivery of Finished Product. Our customers quality requirements become the focus for business plan into the future. By training, and new employee we ensure that all employees understand the Quality Policy. In pursuit of our overall policy, it is the intent that no product offered to a customer contains a known condition inconsistent with applicable contract requirements or advertised specifications. 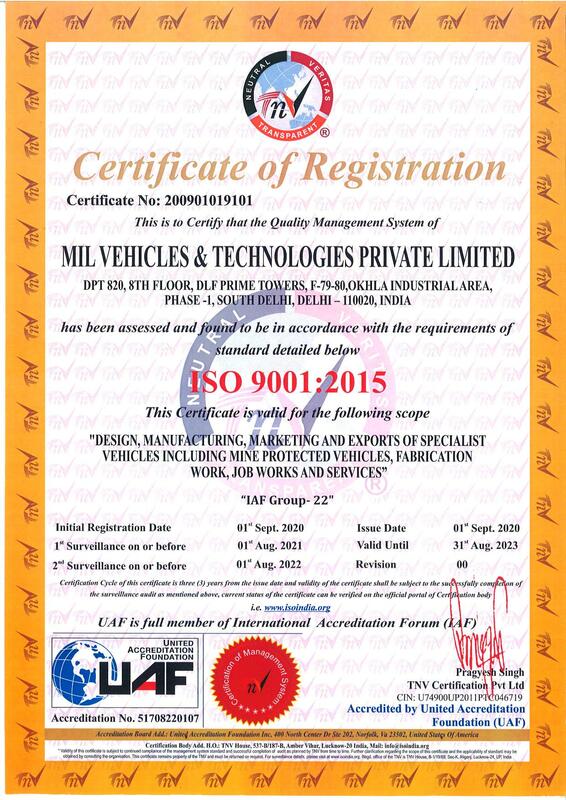 Is committed to meet the requirements of ISO 9001:2008 and customer requirements.